23andMe conducts ongoing, web-based collaborative research in accordance with established guidelines for genetic research. The 23andMe IRB-approved research aims to understand how genetics influences human health and traits; we combine genetic data provided by 23andMe customers with their responses to online surveys. Participants may be general customers, or they may be recruited for specific research initiatives. We believe our research discoveries will ultimately help researchers to develop new treatments for various diseases and conditions. This general research effort is known as 23andMe Research. By completing surveys, forms, or other features you provide information that can help uncover the genetic roots of everything from serious conditions like Parkinson's disease to simple physical traits like being left-handed. Participating consists of giving consent for your data to be used in scientific research. You can contribute data by filling out one of our online surveys or Quick Questions marked with the 23andMe Research logo. How does research through 23andMe work? To participate in research, you can first give consent for your data to be used in scientific research and then provide us with information about yourself by taking one of our research surveys or answering Quick Questions. Our scientists then take all the data supplied by our participants, and look for links between our customers' self-reported information and their genetics. Once uncovered, our scientists publish these discoveries in peer-reviewed scientific journals. We also provide information about our research findings on the Research tab in your account. Why is genetic research valuable? Genetic research can help identify individuals who are at a higher than average risk for certain diseases. Understanding how a disease develops can lead to novel therapies or treatments. For example, genetic markers associated with age-related macular degeneration (AMD) have revealed that inflammation plays a key role in this common cause of vision loss. Based on these findings, drug treatments that target inflammation are now being investigated for AMD. Is 23andMe planning to publish their research findings? Yes, 23andMe has published over 100 articles and papers since 2013. We also announce our research findings on our website and explain how they apply to you personally. Conducting and publishing scientific research can be a slow process. We believe that the 23andMe approach to research can accelerate this process. How is the privacy of participants' research data protected? 23andMe takes seriously the trust you place in us. To prevent unauthorized access or disclosure, to maintain data accuracy, and to ensure the appropriate use of information, 23andMe uses a range of physical, technical, and administrative measures to safeguard your personal information, in accordance with current technological and industry standards. 23andMe research may involve collaboration with external parties; however, these external parties will only have access to pooled data stripped of identifying information. 23andMe will never release your individual-level data to any third party without asking for and receiving your explicit authorization to do so. As part of our commitment to protecting the privacy of our research participants, we have also obtained a Certificate of Confidentiality from the U.S. Department of Health and Human Services. This certificate allows 23andMe to protect research participants’ data from involuntary disclosure, including subpoenas from federal, state, and local authorities. Please see our Privacy Statement for more information about our privacy measures. Does 23andMe have IRB approval? 23andMe research has received and is being conducted only with standard Institutional Review Board (IRB) approval of the final protocol. Any changes to the protocol must be first reviewed and approved by the IRB before being implemented. 23andMe's IRB is an Association for the Accreditation of Human Research Protection Programs (AAHRPP)-accredited company, Ethical and Independent Review Services, Inc. (Independence, MO and San Anselmo, CA). 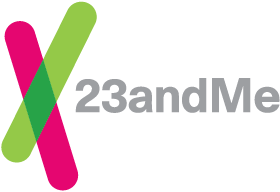 For certain customers, local restrictions mean that participation in 23andMe Research is not available. This restriction is determined when the kit is ordered and applies to the shipping address of the kit. When customers register a kit that was shipped to a research-restricted location, they will not be prompted to consent to research during the registration process. In addition, the research consent setting will not be available within the Account Settings section of the site.